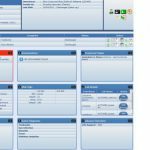 Developed by DataNet Solutions, MedServices STAT EHR is a fully certified electronic health records solution which is specifically designed for ambulatory practices. The software is an ONC-ATCB Certified full-featured EHR offering Practice Management solutions that can easily be accessed from anywhere using a computer device connected to the internet. 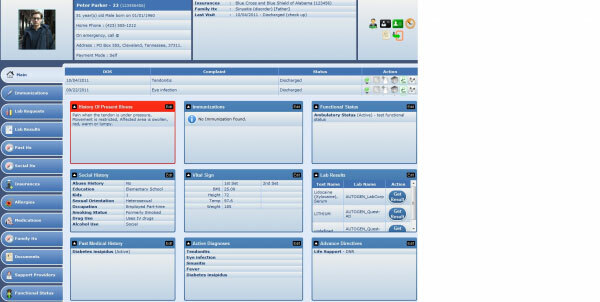 The system offers custom-made intelligent templates which are problem-based and allows practitioners to complete a patient’s encounter in as little as 30 seconds. MedServices STAT Certified EHR assists physicians in providing the best healthcare services to their patients and also saving much of their precious time that can be spent on patient engagement. MedServices STAT EHR also features remote access via iPad which allows providers to update notes, view labs results and easily coordinate office tasks ‘on the go’. 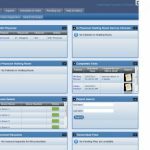 Core features of the EHR include an iPad app, Kiosk-based Patient Registration, Electronic Prescribing, Web-based patient registration, Patient picture archival and insurance card scanning. Along with this the system also features, Advanced Tracking of patients from the appointment to Check-out, access and sharing daily schedules and calendars, ordering lab tests and receiving results electronically and an advanced patient portal. 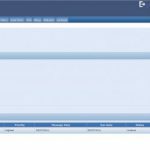 The software also allows practitioners to communicate with patients via a patient portal, send Memos and utilize customized templates for their practice workflow. Electronic faxing to providers and patients within the application, health maintenance reminders, Appointment Reminders, automated online eligibility checks and batch eligibility checks, Clinical decision support alerts, Allergy Checks and Notifications, ability to plot growth charts of children and teens, fully-fledged immunization module and communicating with referring providers with CCD and CCR documents of patients and Patient Assistance Program (PAP) are also some of key features worth mentioning about this electronic medical records system. In essence, MedServices STAT EHR has been designed to cater to the needs of primary care practices, along with Federally Qualified Health Centers (FQHCs) and community health care centers. The system further offers unique capabilities for community health centers and FQHCs and offers as an integrated Patient Assistance Program. The patient portal allows patients to access their medical records, view lab results, pay bills, and schedule appointments from anywhere and at any time.